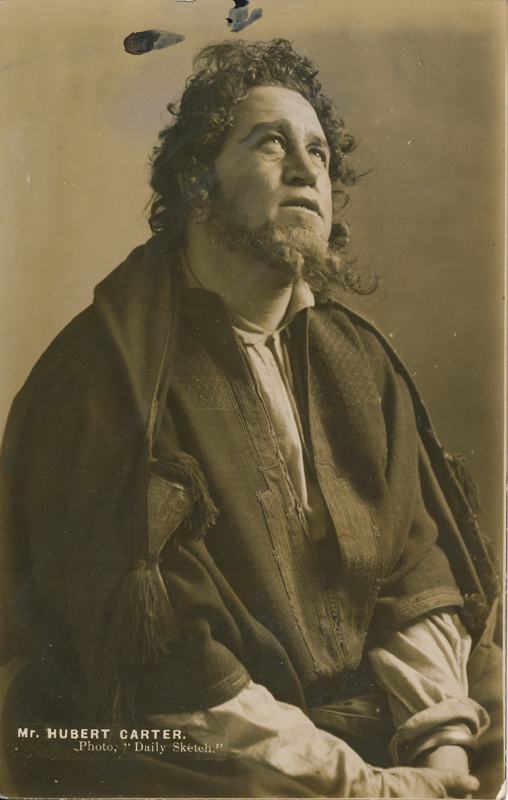 Hubert Carter played many parts in Shakespeare’s plays and was active on the stage until 1931, three years before his death. His first stage appearance was in 1889 and his first London engagement was in 1895. In 1897, he played his first part in a London production of Shakespeare as Francisco in Hamlet. 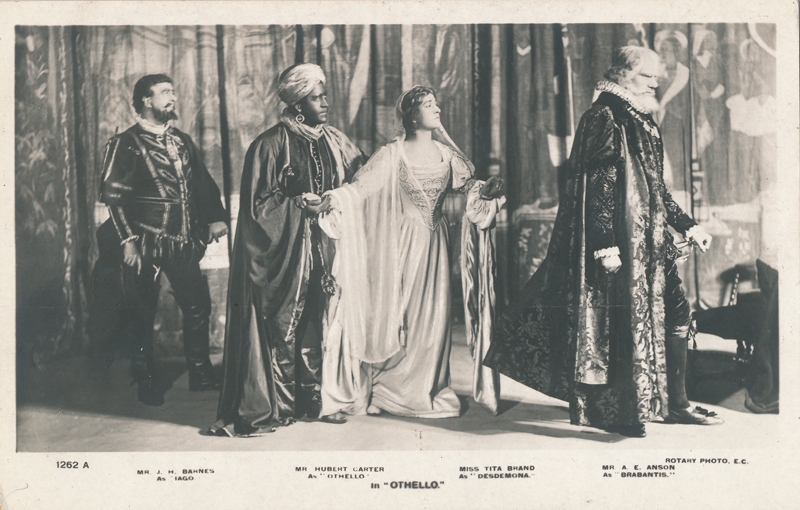 He gained critical attention when he played with Ellen Terry in 1903 as Borachio in Much Ado About Nothing; after that he went on to score successes as Othello, Shylock, and Macbeth. During his career he appeared in more than twenty-five productions of Shakespeare; in addition, he toured various universities in the United States performing various Shakespearean parts in dramatic recitals.